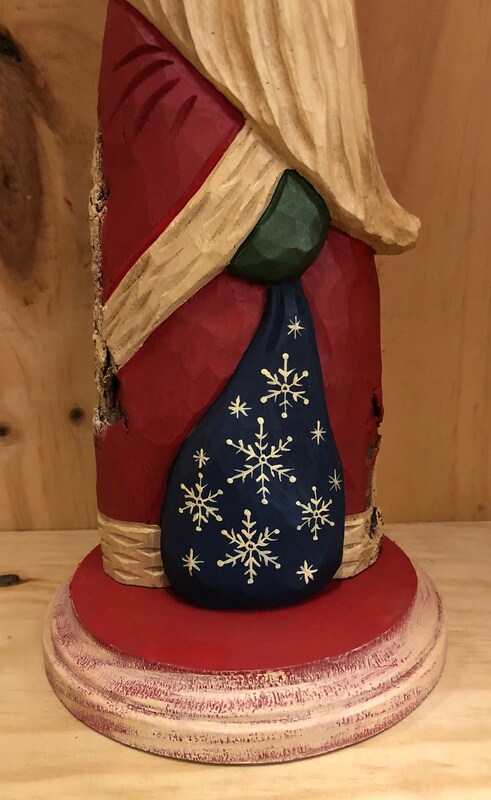 HAND carved original Santa with bag on a base from 100 year old Cottonwood Bark. Hello! My Name is Greg Macdonald and together with my amazing painter/partner Mell Smith we create original hand carved works of Holiday Folk Art! I have been a full time wood carver for close to 30 years. Mell, a talented studio painter, has been painting my carvings for close to 5 years now. We sell at art fairs throughout the Midwest and have studios in the fabulous Hot Shops Art Center in Downtown Omaha NE. My carvings have found homes in collections in all 50 states and several foreign countries. 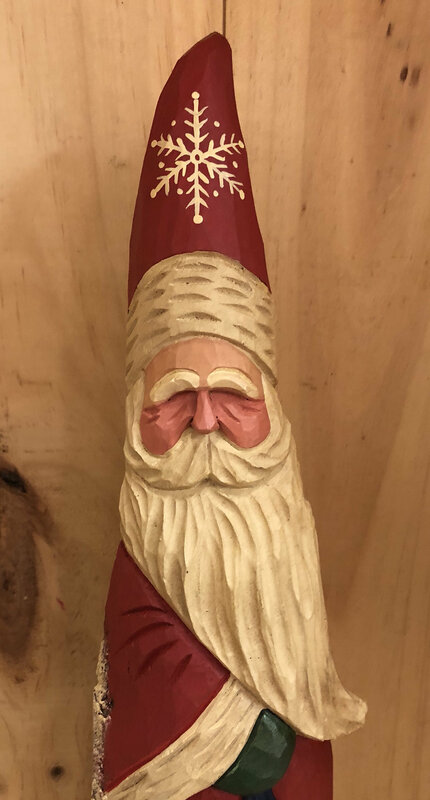 This piece is a hand carved Santa with a toy bag from 100 year old cottonwood bark. I’ve attached him to a base for stability as he’s on the thinner side. The bark of a Cottonwood tree is unique in that it continues to thicken as the tree grows, sometimes 4" thick and upwards. All the bark I use is gathered from dead trees. 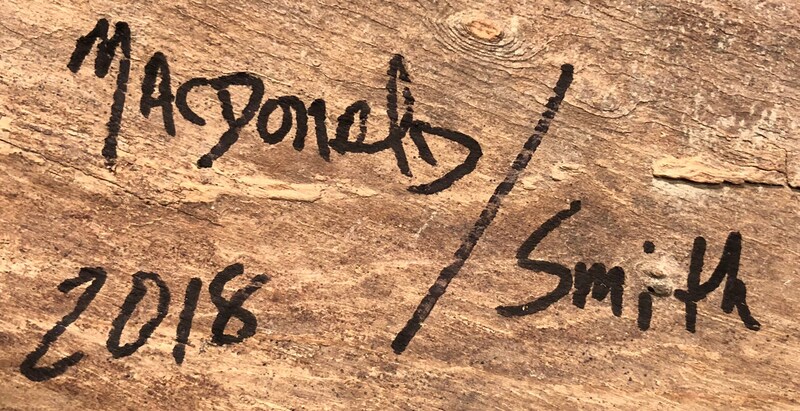 All cracks, knots ect. are incorporated into the design to make a truly unique and one of a kind carving! It is carved in free standing deep relief (flat on the back). This makes it perfect for sitting on shelves and fire place mantels! It measures 14" tall by 5" wide at the base. The piece is painted in acrylic, and then antiqued with an oil finish to give it a soft, aged appearance. I leave the backs of my carvings natural so there is no doubt it is a hand carved original....NOT a reproduction! On a side note, some of you have asked why some of my listings get taken down so quickly....it is because everything I list is also for sale in my studio or the art fairs I do so I remove them as they sell.